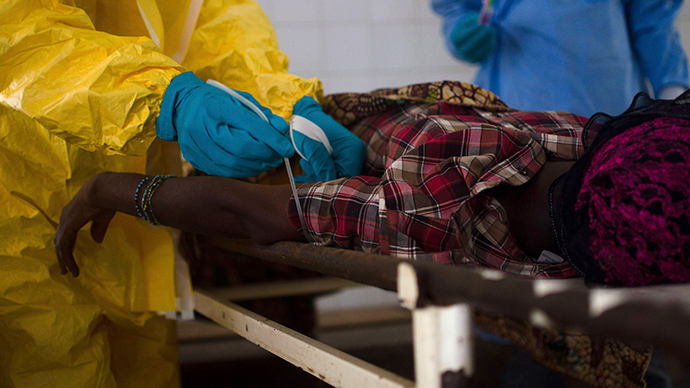 A man in New York City was tested for Ebola after traveling to West Africa. 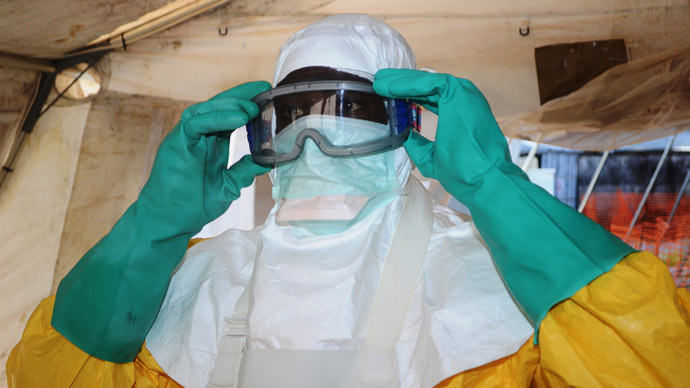 The news comes shortly after the Centers for Disease Control and Prevention announced it will send 50 staffers to the region over the next month to combat the deadly outbreak. Mount Sinai Hospital in Manhattan performed tests on the male patient with high fever and gastrointestinal symptoms, the hospital said in a statement. He arrived in the emergency room Monday morning, and had previously traveled to one of the West African countries where Ebola has been reported. 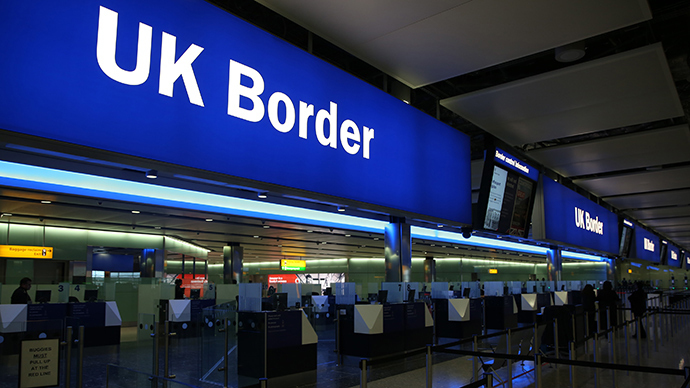 "All necessary steps are being taken to ensure the safety of all patients, visitors and staff. We will continue to work closely with federal, state and city health officials to address and monitor this case, keep the community informed and provide the best quality care to all of our patients," the hospital wrote in a statement. ABC News' Dr. Richard Besser cautioned that the patient may not have Ebola, but said the hospital is taking the correct steps by following CDC recommendations and placing the man in strict isolation, according to WABC-TV, "Many things cause fever and gastrointestinal symptoms,” he said. “The steps they are taking are wise given the travel history, but nothing about the symptoms is specific to Ebola." After consultation w/ @CDCgov & @MountSinaiNYC The NYC Health Department has concluded that the patient is unlikely to have Ebola. By a Monday evening press conference, however, Mt. Sinai officials concluded, “Odds are it's not Ebola.” The hospital is still testing specimens from the patient for common causes of illness. "It's much more likely that this is a much more common condition," said Dr. Jeremy Boal, the hospital's chief medical officer. As the CDC prepares to send at least 50 staff members to the West African countries of Guinea, Liberia and Sierra Leone ‒ where the outbreak is occurring ‒ some fear that Ebola could spread to the US. At least 826 people have died since the beginning of the year, and over 1,440 have been infected in the three countries, according to the latest numbers from the World Health Organization. 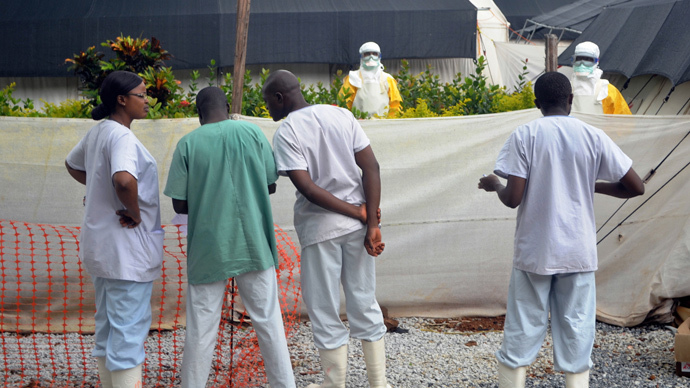 Ebola, which causes severe hemorrhaging, has a case fatality rate of up to 90 percent. It is spread by direct contact with the blood and other bodily fluids of infected animals or people. "We are surging our response," CDC Director Dr. Tom Frieden told ABC News on Sunday morning. "We're going to put 50 staff on the ground in these three countries to help stop the outbreak in the next 30 days." Bhadelia is slated to travel to Sierra Leone in mid-August to treat Ebola patients there. She says she will join many talented health workers from around the world who are already battling the disease, including nurses from the country whose experience comes from battling Lassa fever, another viral disease that causes hemorrhagic fever. Currently there is no specific treatment or vaccine to cure the deadly disease, though several are being tested, according to the WHO. Severely ill patients require intensive care. Patients are frequently dehydrated and require oral rehydration with solutions containing electrolytes or intravenous fluids. 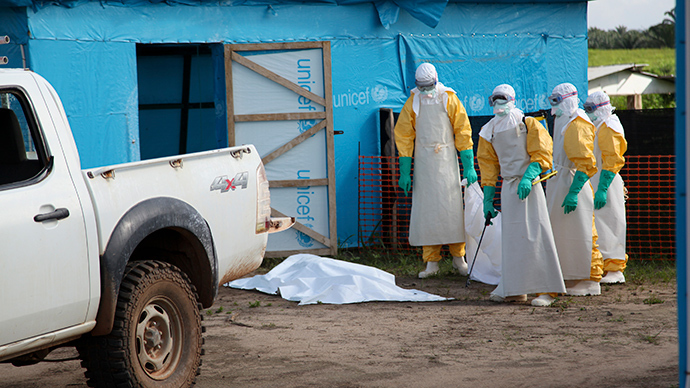 Because of the virus’ transmission through bodily fluids, aid workers are at risk of contracting the disease as well. 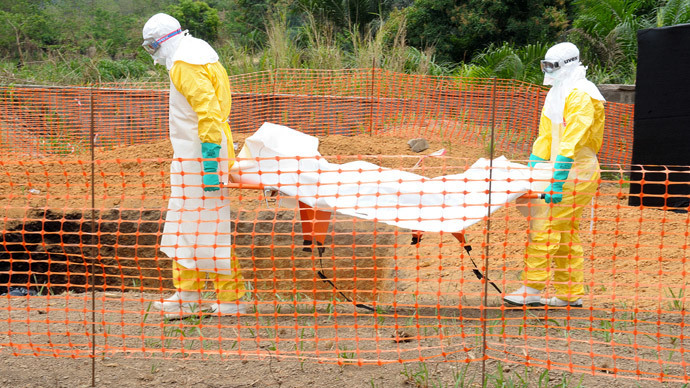 So far, two American aid workers have been sickened by the disease and are in grave condition. 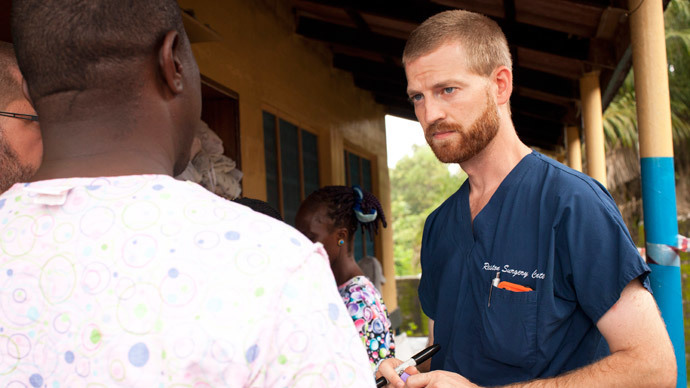 Dr. Kent Brantly was transferred from Liberia to Emory University Hospital in Atlanta, Georgia on Saturday, Frieden announced on Sunday. The ill doctor was able to walk out of an ambulance unassisted into the hospital near the CDC campus. Dr. William Schaffner, an infectious disease specialist at Vanderbilt University School of Medicine, told ABC News he felt "guardedly optimistic," since Ebola usually advances quickly and Brantly had shown signs of the disease for at least a week. "The first thing we all said 'Whoa he's not on a vent’," Schaffner said about realizing that Brantly did not need a ventilator to help him breathe. "In general [with] Ebola is... you progress on a downhill course. If you're at this point and you're holding your own you're entitled to be optimistic." Brantly had received an experimental serum before his transfer Samaritan’s Purse, the Christian aid organization he works for, said on Sunday, according to NBC News. 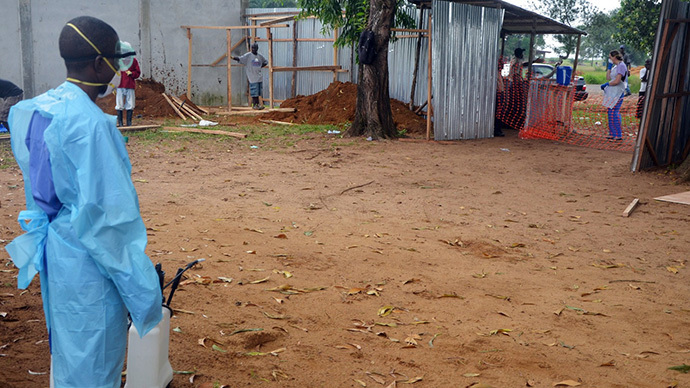 Nancy Writebol, the American missionary who has also been infected with Ebola was not able to receive the serum, as there was only one dose of it. She will arrive at Emory on Tuesday. There is only enough room for one patient on the special medical plane designed to transfer people with infectious diseases, Reuters reported. 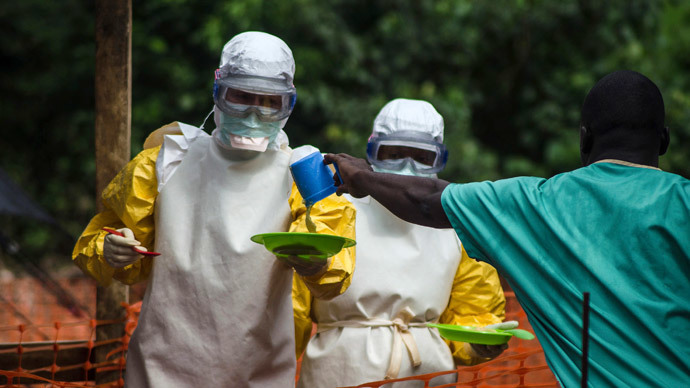 International aid workers flocking to the outbreak, including those from the CDC and a group of Russian virologists, are at risk of contracting the disease as well because of the lack of resources, Bhadelia said. Bhadelia also said that doctors are working with patients in West Africa for longer than the four-hour shifts recommended when treating highly communicable infections, especially Ebola and other hemorrhagic fevers. “Now you have docs who are taking care of 40 patients and they’re doing it in seven-hour shifts or even longer. That could definitely contribute to infection among [healthcare] workers,” she added. The WHO announced on Friday that it plans to fly hundreds more medical staff into West Africa, the Los Angeles Times reported. Those workers will attempt to stem the spread of the disease and trace those people who had come into contact with infected patients. In the three countries, more than 60 local medical staff ‒ about eight percent of all fatalities ‒ have died, according to the Times. Among the dead are Liberia's Dr. Samuel Brisbane and Dr. Sheikh Umar Khan, a top Sierra Leone doctor who treated dozens of patients. 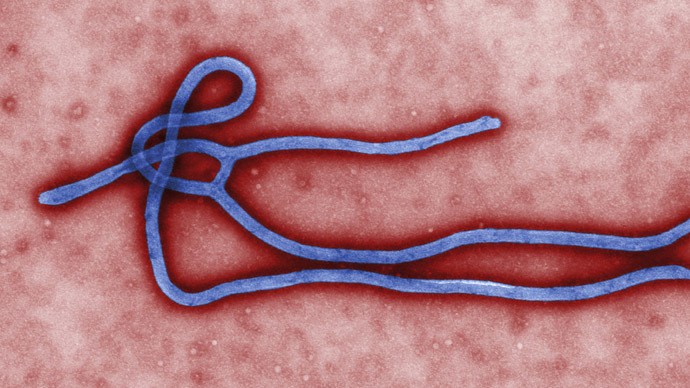 Ebola first appeared in 1976 in two simultaneous outbreaks: In Nzara, Sudan and in Yambuku, Democratic Republic of Congo, according to the WHO. The latter was in a village situated near the Ebola River, from which the disease takes its name.